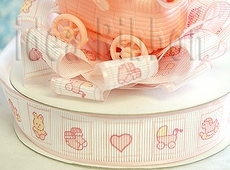 Grosgrain Baby Shower Printed Ribbon. 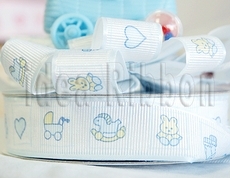 Made of top quality fabric, these printed baby shower come woth blue and pink. Click the below picures to see the detail unique, adorable baby shower printed images.